Beautifully updated home in Mission Royale 55+. This 2 bedroom, 2 bath home features rich cabinetry, plantation shutters, large tile through traffic areas, laminate wood in both bedrooms, new lighting and fenced rear yard. Master Suite has great closet space, large shower with seat and private toilet room. 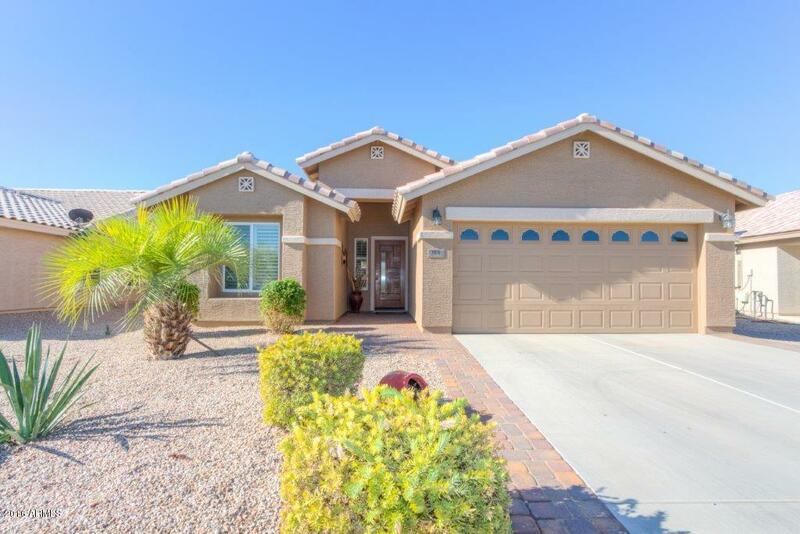 Large private rear patio has been extended perfect for the Arizona Sunsets. Kitchen includes custom island, refaced kitchen cabinets, upgraded appliances! All furniture is custom; beds, entertainment center, murphy bed, tablesFurniture is being sold on a separate bill of sale. Inquire for details. Community amenities include pools, hot tub, tennis, pickle ball, fitness center and more. Schedule your showing today, you've earned it!